As a newcomer to the lower mainland (and new to BC for that matter) I’m a rookie when it comes to growing things in zone 8. I’ve nurtured plants in zone 3 for forty-plus years but I’ve never lived anywhere but the Canadian prairies*. It’s a whole different ballgame, so to speak. Plants thrive here in the warmth and humidity. They get several more months to grow and produce, whether flowers, seeds, herbs or fruit. On the prairies timing is everything; you have to have your seeds in the dirt and under artificial light in March or you won’t have seedlings ready to plant out in May. 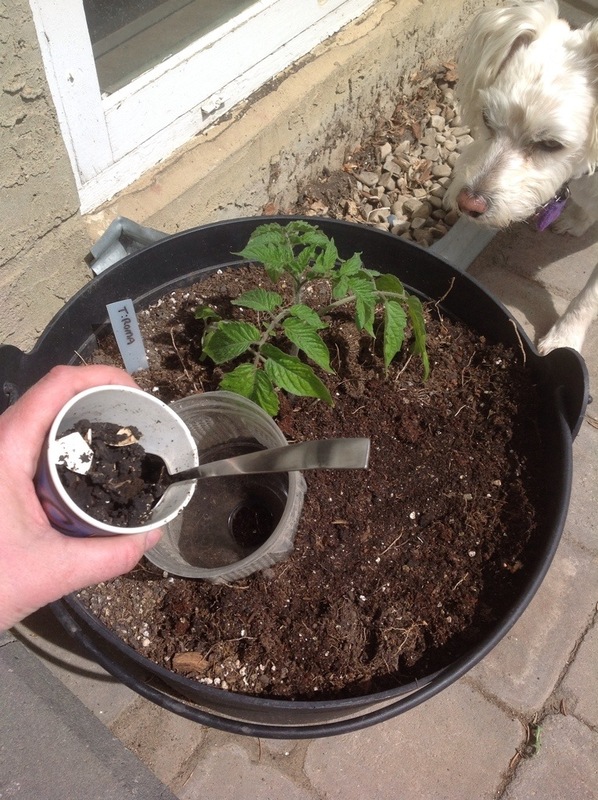 If you transplant too early you can loose your tomatoes to frost, if you wait too long you may lose them in the fall before they’re at full production. It’s a risky business and every gardener has lost the gamble at one time or another. Here in White Rock things are more flexible. The season is twice as long and that allows for some leeway in choosing what to plant and when safely expose it to the elements. Instead of choosing only seeds with a short “days to maturity” time, I can choose virtually any seeds. ANY SEEDS. It’s no wonder the local farms are already selling freshly harvested carrots, tomatoes and baby potatoes at the market. The variety of local produce already available is staggering: strawberries, raspberries, greens, peppers, garlic, basil to name a few. *Ok, I did live for four years in southwestern Ontario in my early twenties, but I’ve tried to wash those memories from my brain. There is no way that you can compare gardening in a full size zone 3 yard and gardening on a balcony in zone 8. 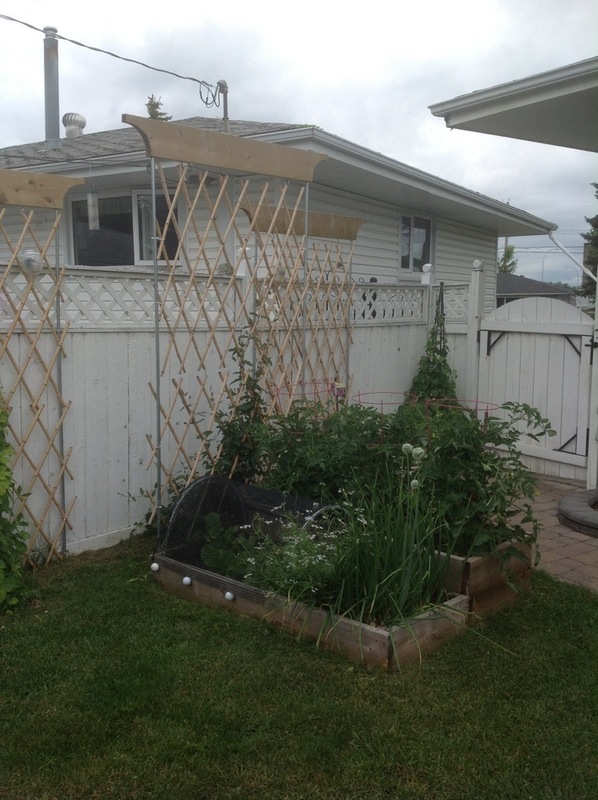 In Edmonton I had a 60 x 120 foot lot and I took advantage of most of the property for my hobby. By the time I sold my house I had seven composters, several raised beds for vegetables and I’d converted half the front lawn to garden. Much to my (late) mother’s chagrin I even grew corn in my front yard. I had gogi berries, raspberries and haskap (honey berries). I ate Carmine Jewel cherries from my tree in the backyard while waiting for dozens of tomato plants to produce their yearly bounty of juicy plum tomatoes for canning. I’ve grown tomatillos for salsa verde, I’ve had a spaghetti squash plant produce so many squash that I had to take them to the food bank, and I’ve eaten carefully stored carrots and potatoes well in to January. Those days are over but not forgotten. 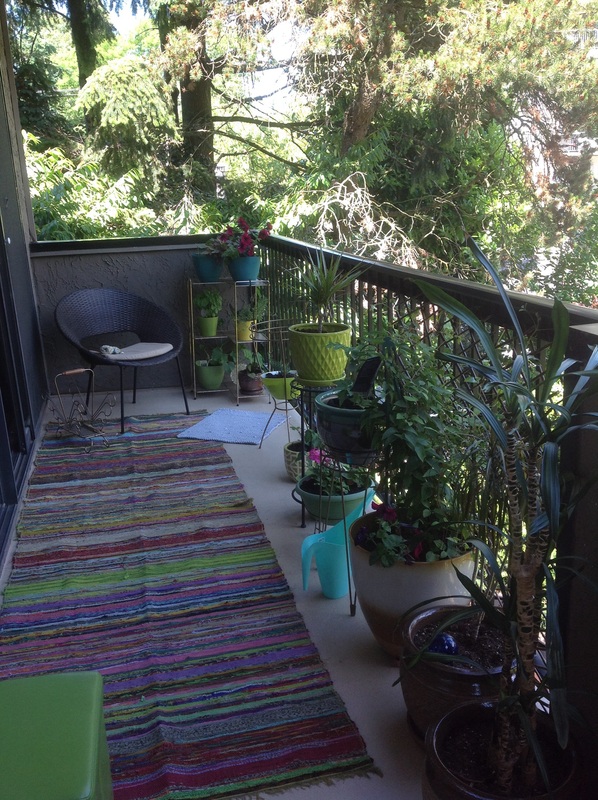 A balcony can support all sorts of plants, including fruit and veggies. Breeding has produced a bounty of fauna that is satisfied with life in a container, although container living means much more attention to their care. Container plants need a good quality soil that retains moisture. 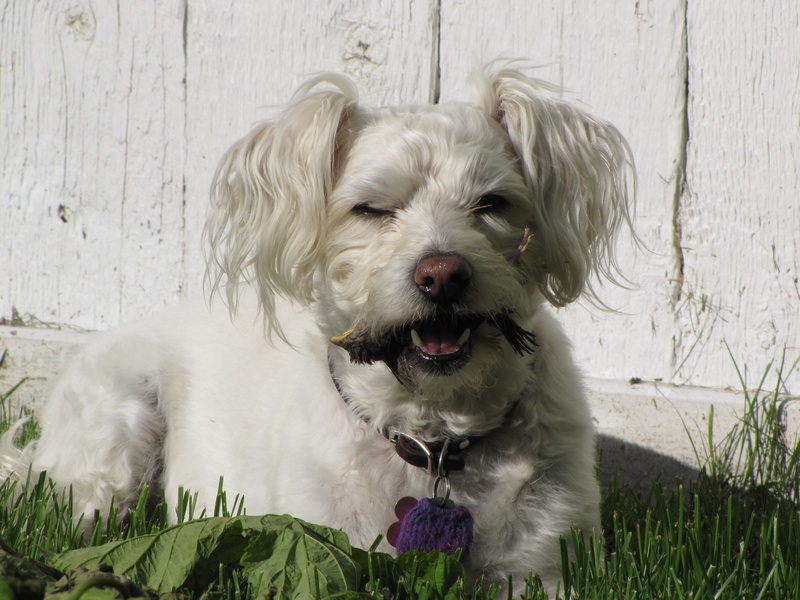 They need regular watering and fertilizing – everything they need will have to be provided at regular intervals. 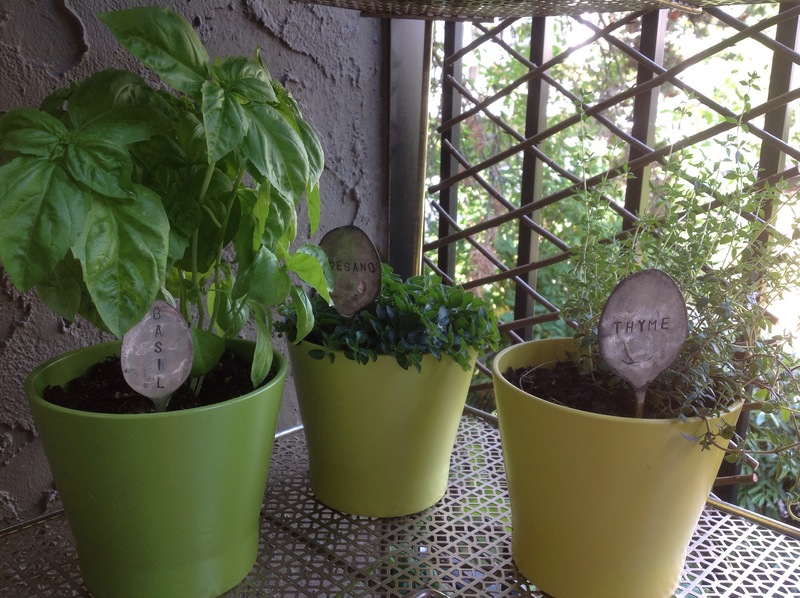 Two hot days in a row with a moderate wind and balcony plants can be baked in situ. My balcony is east-facing so it gets a strong morning sun which abates at around 11 am and by 4 pm it becomes a cool place to sit and enjoy the sound of birds and a gentle breeze. So far all of my herbs and flowers are doing spectacularly and I’ve potted two tomatoes, a Hungarian pepper and a cucumber. I’ve got two different climbers – a black-eyed susan vine and a specially bred clematis which is going like crazy (I’ll blog about that another day). So although I can’t garden on the same scale as I have in the past, I can still enjoy my hobby. 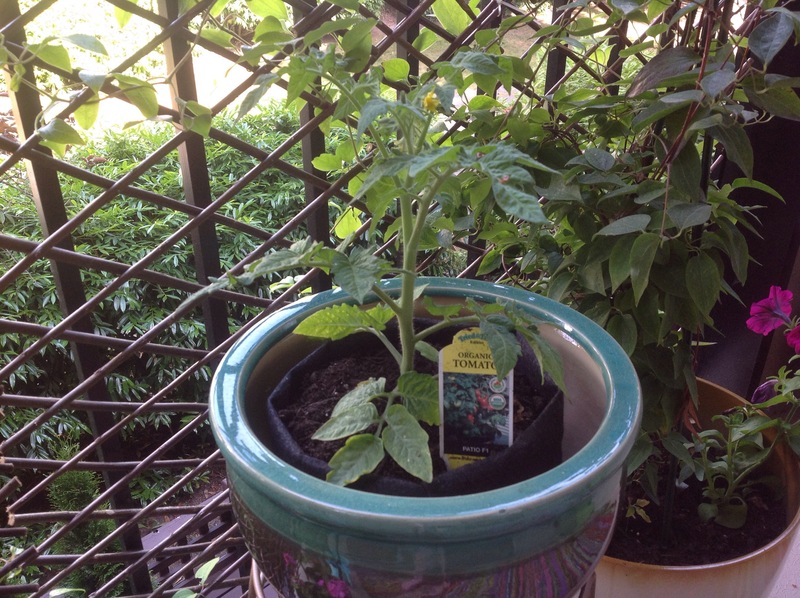 And hopefully I can enjoy some fresh tomatoes in a couple of months. 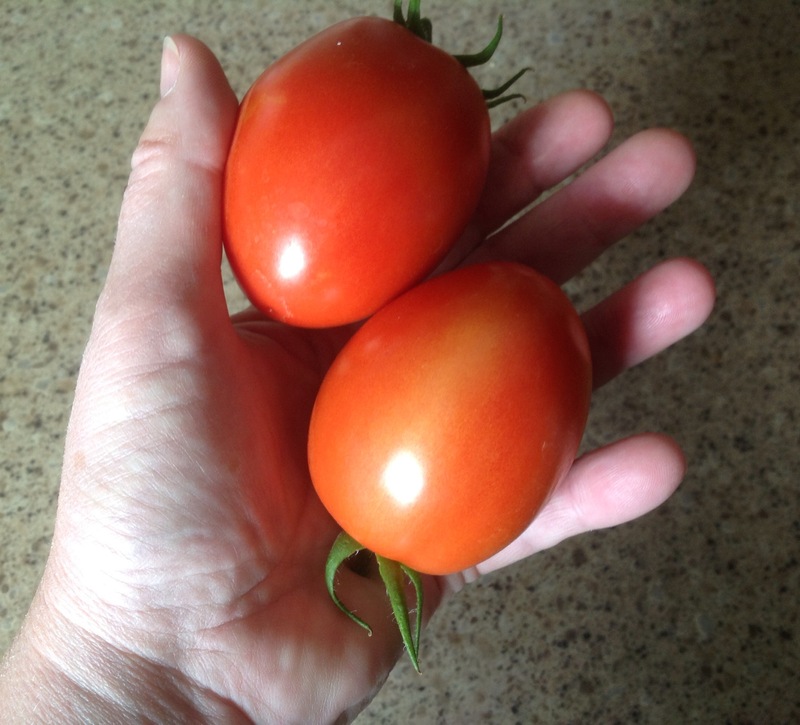 Perfect Roma Tomatoes. Every Time. 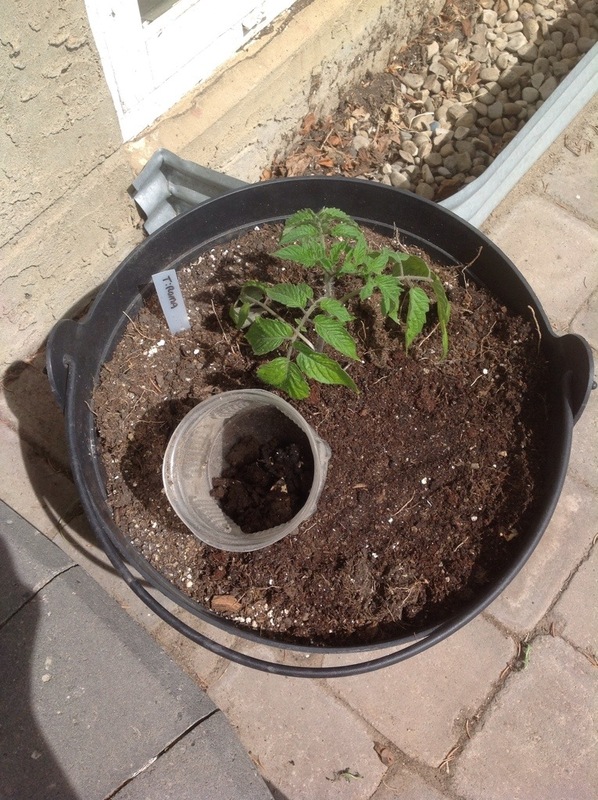 I have to give a shout out to T&T Seeds of Winnipeg for their amazing Roma tomato called Momma Mia. It’s been a staple in my garden for years, producing beautiful paste tomatoes that I love to make into sauce for those bland winter months. The quantity of fruit can’t be beaten, and I’ve never had any issues with the health and virility of the plants. Highly recommended. A couple of years ago I wrote a blog post entitled, “Death From Above” about the scourge of the local sparrows. The birds love my backyard and they hang out there in the dozens. They also love my spinach, my lettuce and especially my pea sprouts. I really don’t wish to debate the issue of domesticated animals hunting and harming birds in the city. I don’t feel terribly strongly one way or the other on the subject. I can tell you that, short of keeping Lucy indoors at all times, there isn’t much I can do to prevent her from displaying her predator instinct. Lucy knows how I feel about the sparrows feasting on my garden, so she makes it her personal mission to sow fear in the hearts of the feathered enemy. This week she successfully ended the (very short) life of a fledgling. Then Lucy buried it among my tomato plants. Yuck. 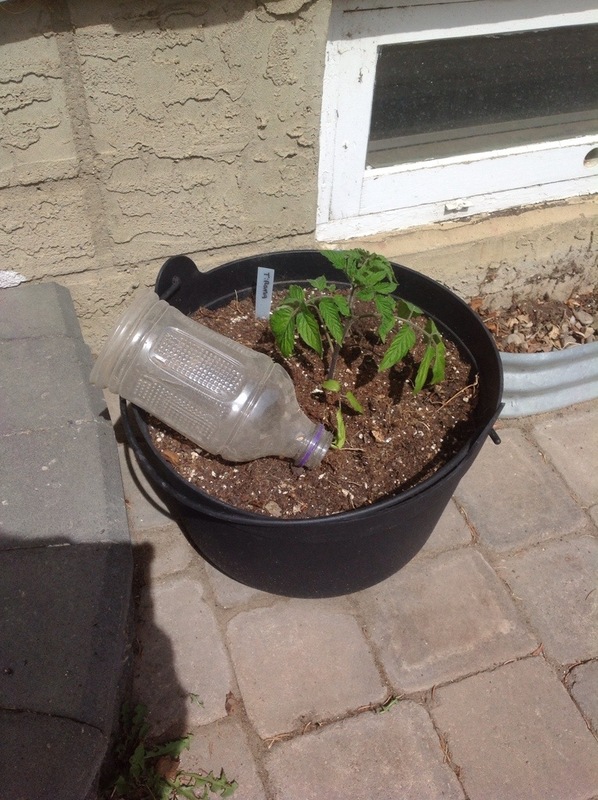 I like to get water and nutrients deep into the soil beneath my tomato plants. This encourages a strong root system and a more sturdy plant overall. Plus, a deep watering means I don’t have to worry as much about the plant drying out on those hottest of summer days. I use a juice bottle with the end cut off and the top removed. I like to add some compost to the feeding bottle. Occasionally I add Epsom salts this way as well, providing the plants with much needed magnesium. Just add water and let that absorb over the next several hours. I have a two tiered raised bed that happens to be five feet long and four feet wide, each tier being two feet wide on its own. I usually plant tomatoes in the upper level and lettuce in the lower level. 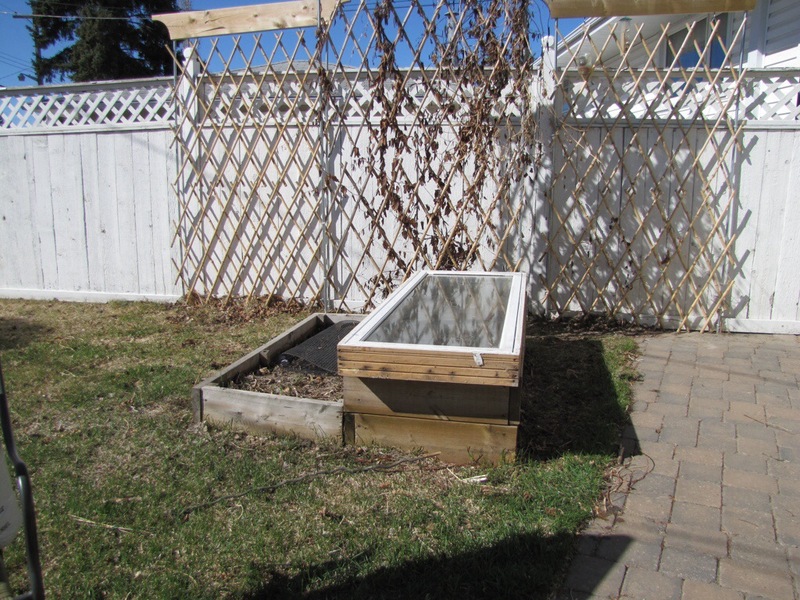 Last year I found someone selling an old window that fit perfectly over one of my 2×5 raised beds and I bought it for $10. Instant cold bed! 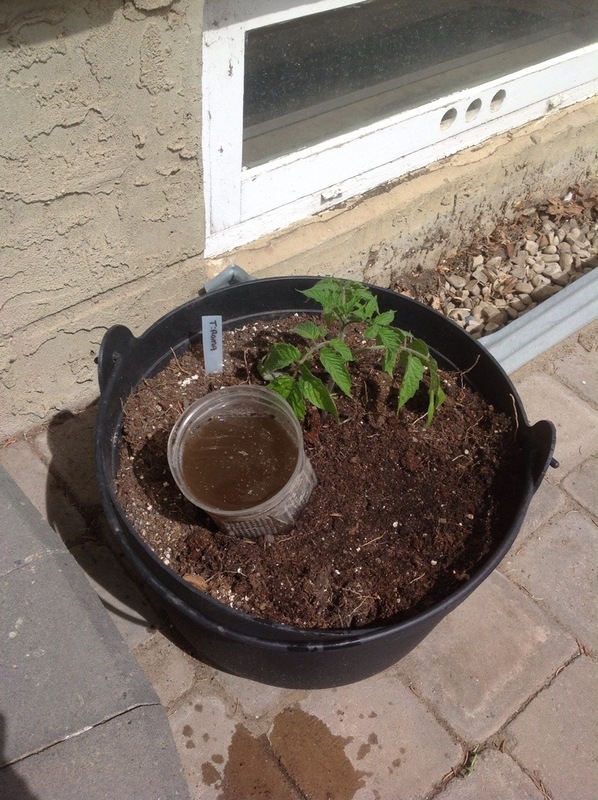 Switching things up for 2014, I planted cucumbers, onion, lettuce and spinach in the upper tier in late April and covered the whole lot with the two-pane glass window. It’s been cool on and off since then but we’ve also had some fairly warm days when the temperature in the improvised cold frame gets rather balmy, encouraging those seeds to germinate long before they might elsewhere in the garden. The result? Hopefully I’ll be eating my lettuce 2-3 weeks before my neighbors.